We would love to offer 20% off of your next order for leaving a testimonial about Sacred Lotus Yoni Steam! <3 There's a 10% discount for leaving a testimonial on our site and a 10% discount for a tagged shoutout on social media! With all of my heart, I want to thank Sacred Lotus Yoni Steam for being pure magic! The power of intention lives so strongly within this beautifully heart felt company, that simply beginning to browse their website will rapidly accelerate your journey to your highest self! I began following SacredLotus on Instagram, after meeting Sabrina Vedete this summer. I was intrigued by a post about using steams to increase fertility, as my partner and I have been trying to conceive for over a year! Within minutes of commenting about wanting to learn more, Sabrina responded and we set up a time to chat on the phone. During our call I learned SO much about the miracle that is a female body, and the importance of honoring, nourishing and cleansing our sacred reproductive organs. After feeling held and heard, Sabrina recommended a custom blend, just for me and my personal journey [fertility]. I was so pleased with all I had learned, and inspired to start making steaming a self care ritual! Well... the sincerity behind our call felt so warm in my heart and womb that it MUST have began my healing process, because I was pregnant before I even received the steams in the mail!! I definitely owe thanks to Sabrina and her wisdom. I AM SO EXCITED to start steaming postpartum, dive into creating a solid practice around it, and share this magic with as many people as I can! I’m also going to use the yoni egg throughout my pregnancy! excited to share about my experience with it! Feeling blessedand supported! Sister, I want to thank you for your part, the night we met... you mentioned the person who stands in front of you is your teacher... although we barely know eachother.. you taught me so much. After we met i went home... meditated, changed my FB posts, drew a pic of my family, everyday posted positive posts and it changed everything as well as other people's lives too. What you taught me i passed on and it;s made a difference in other people's lives as well. "I don't usually go to events like these, but I'm glad I went to the Sacred Lotus Yoni Steam! I learned so much about my cycle as well as the benefits of steaming and having a jade egg practice. In addition to the activities, I met some beautiful, warm women who made me feel right at home." Sabrina is deeply committed and passionate about supporting women to understand the power of having a healthy womb through yoni steaming. With a deep knowledge and love for yoni steaming, I feel very held in her presence and leadership. I recommend working with Sabrina if you’re desiring to find a healthier and stronger relationship with your feminine body. First off, I have to say that Sabrina’s event could not have taken place at a better time for me. I was in such a bad funk after experiencing an unexpected change in my life and I could not shake it. The moment I walked into that cozy environment with those women, my mood lifted and I knew I was meant to be there. Sabrina lead the group into forming a sister circle as she shared “herstory” about the power of womanhood, our uteruses, and our periods. After connecting with each other and getting in touch with our feminine sides we all started our sacred lotus yoni steam, picked out our preferred crystal yoni eggs and started the yoni egg ritual. Overall, my experience was magical. After finding answers to the questions that was being asked of myself, I left feeling more grounded. I left feeling powerful and promised myself to put aside more “me” time. I am writing this review 2 weeks later and since then I have used my sacred lotus herbs to steam my yoni as well as make tea. I have also been making use of my yoni egg while meditating during my “me” time. As a yoni steamer and yoni egg practitioner I am always eager to share, feel and rise the energy together with other wobmen as a collective. Sabrina holds space beautifully and you feel warm and welcome. Doing such workshop brings you more and more connected to your body, your womb and your inner being. It's always great to connect with other women, we are all one :) Love her mixture of yoni steam herbs- carefilly selected ingredients! Must have ! love .love. Sabrina is such an amazing womyn to talk to, and I felt immediately open enough to share intimate details about my yoni's herstory and trauma. During her generous phone consult we not only discussed the methods of yoni steaming and eggs, but my personal emotional experience and how it could translate into womb healing. I was left feeling empowered and inspired to steam and let go of all the unnecessary baggage my womb was holding. A few hours later, I boiled some water with herbs, lavender, and Alpine Lily flower essence and made an intention to let go of things with my Mother and call in forgiveness and healing. 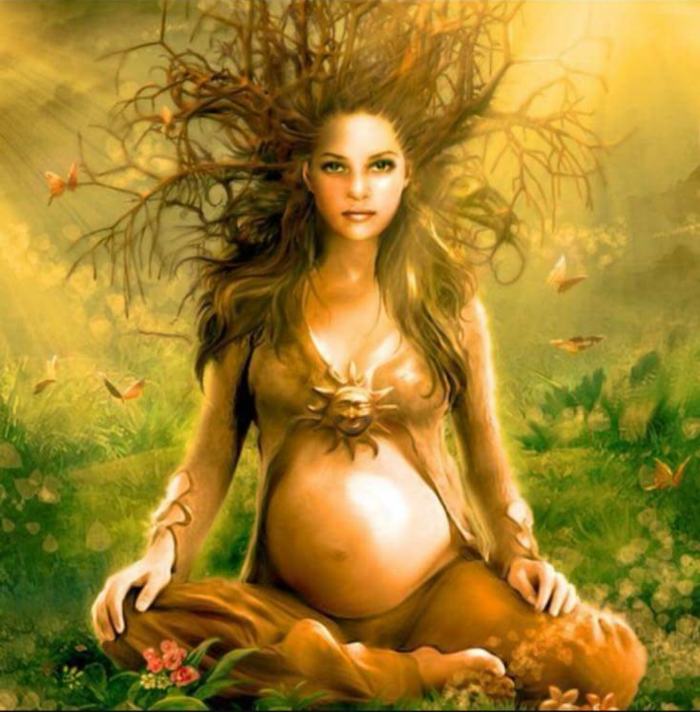 After just one steam, my womb and yoni feel more relaxed, open, and "in element" than they have in a long, long time. I know that practicing this regularly along with the yoni egg, meditation, yoga, flower essences, and affirmations will continue to awaken my womb to call in the partner and Motherhood I yearn for so deeply. Not only do I know what egg to buy, I have a felt knowledge of this ancient practice connecting me to all womyn universally, calling healing and transmutation to all of us. All thanks to Sabrina and Sacred Lotus Yoni Steam!